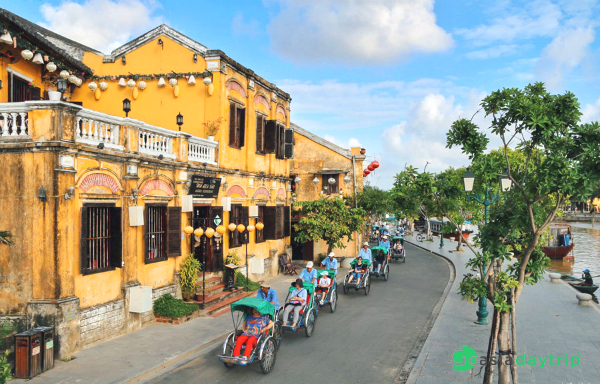 Things to do in Hoi An – Being the highlights of travel road in Central Vietnam, Hoi An ancient town appears as a rustic, simple and poetic picture. Whether it’s a day or a night, Hoi An still has its own charms. In addition to cultural values through diverse architecture, Hoi An still preserves a rather large intangible cultural background. 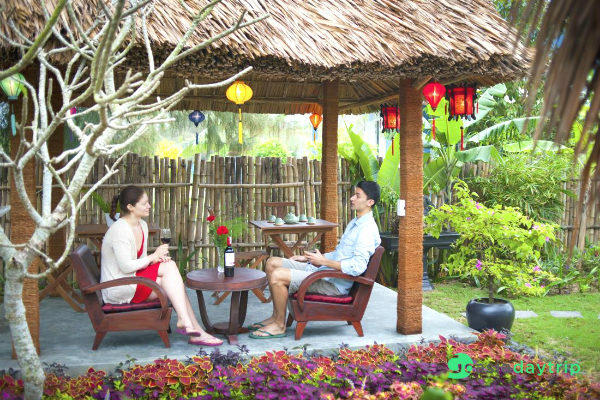 The daily life of the residents with the customs, belief activities, folk art, cultural festivals together with the romantic natural scenery, special dishes … make Hoi An increasingly attractive in the eyes of both domestic and international tourists. – The best time to visit Hoi An is from February to April every year, with little rain, pleasant climate. – May to July: This is near the end of the dry season in Hoi An, the weather is great for you to go to the sea and visit Cu Lao Cham. October to December: If you want to experience a boat ride in Hoi An ancient town, come here at this time. Because this is the beginning of the rainy season in Hoi An and the old town is submerged in water, so that people there often have to travel by boat. But if you go this time, be awared that your travel plans are blocked by the rain. 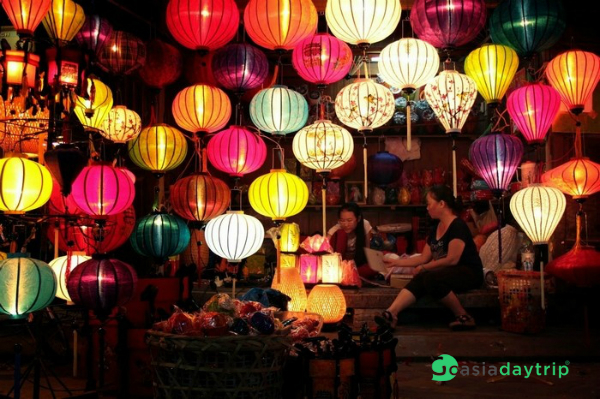 Visit Hoi An on the 14th lunar calendar every month to attend the Old Quarter night. On this occasion you will have a chance to see the red lanterns flashing across the street, a unique scene of Hoi An on the occasion. The road from Da Nang to Hoi An (Quang Nam) is about 30 km to the South. Currently, there are 3 main means to travel from Da Nang city to Hoi An which you can choose from including Bus, Taxi, and Motorbike. To promote Da Nang – Hoi An tourism, the bus number 1 from Da Nang to Hoi An will be put into use from 2015. With the price of only 25,000 VND, it is very cheap compared to other means of transportation. . The time from Da Nang to Hoi An or vice versa takes about 70-80 minutes. Taxis are the most convenient and fastest way to travel from Da Nang to Hoi An, taking about 45-55 minutes depending on traffic conditions. However, the price is relatively high. Motorbikes are a great choice to travel. You can also travel from Da Nang to Hoi An by motorbike to discover more destinations along the way. However, if you are not familiar with driving and traffic in Vietnam is quite complex so this is not the choice of many visitors. You can refer the transfer service of GoAsiaDayTrip with private car with reasonable price that brings you the comfort and safety on the trip. Motorcycle rents range from 120,000 – 150,000 VND / day. But the most interesting way to see in Hoi An is still walking or renting bicycles around the town to feel the special of this place. The rent for a bike is 30.000VND / day. Being a tourist city, especially for foreign tourists, Hoi An is not lacking in comfortable hotels, in the heart of the city. Tourists should book at least 2 months in advance for a good price. In the peak season, if you book late, you can find rooms away from the center, such as Huynh Thuc Khang Street, near the bus station, Thai Phien Street. 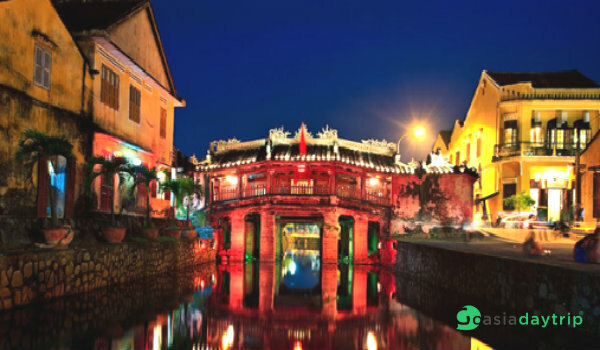 Bridge Pagoda is a pearl in the heart of Hoi An and on the top list of things to do in Hoi An. The bridge was built in the late 16th century and is called the Japanese Bridge. In the middle of the bridge there is a small shrine worshiping the Great Emperor. The bridge is quite unique with the structure; decorative motifs show the harmonious combination between Vietnamese, Chinese, Japanese and Western architectural styles. Chaozhou Assembly Hall: 92B Nguyen Duy Hieu. 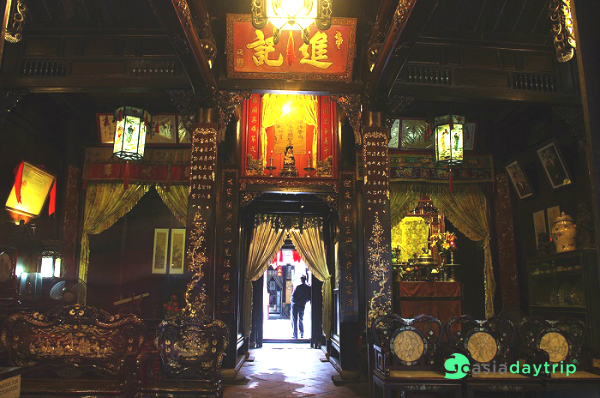 Built nearly 200 years ago, Tan Ky House has the typical architecture of Hoi An town with furniture divided into many rooms, each with its own function. The front of the house is the place to open the shop, the back side of the river to serve as a place to import goods. The workshop brings together most traditional handicrafts of Hoi An and Quang Nam, such as weaving mats, weaving fabrics, pottery, lacquerware … Visit the workshop, visitors will find a peaceful landscape of a village of Vietnam. Tourists can take part in the production process of the craft and buy some souvenir items. Cua Dai Beach: 5 km to the east of Hoi An Ancient Town. An Bang Beach: Located in Cam An ward, about 3 km east of Hoi An ancient town. Thu Bon River: Depart from the wharf on Bach Dang Street, run a section of Huai River and then Thu Bon River. 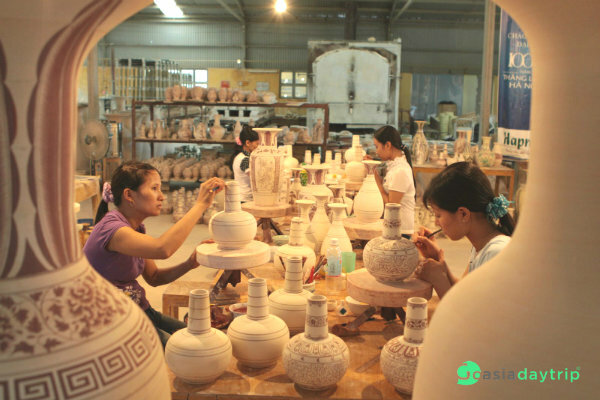 Thanh Ha Pottery Village: Located 3 km west of Hoi An (travel by boat about 30 minutes from the old town pier). Cu Lao Cham Island: 18 km east of Cua Dai, about 30 minutes by speedboat from Cua Dai port or wooden boat departing at Bach Dang wharf for about 2 hours. 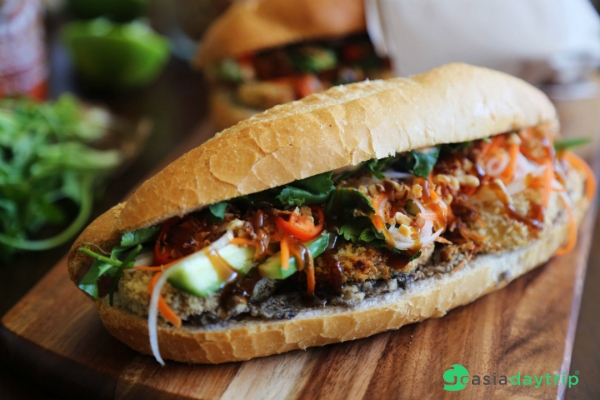 Hoi An Bread: This is one of the most tasty and famous dishes in Hoi An. The special taste of bread there can not be found in anywhere else. Many people living in the old town say Cao lau appeared in Hoi An from the 17th century. Perhaps so, this dish is influenced quite a lot from the cuisine of Chinese as well as Udon cold noodles of the Japanese. However, Cao lau Hoi An still boldly own and only Hoi An has the right Cao Lau. 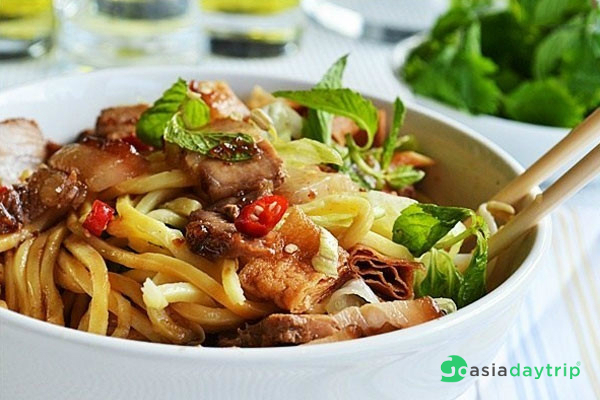 Address: It is easy to find the Cao lau of Hoi An, from the curbside to the restaurant on Tran Phu Street, most famous are Ba Be and Trung Bac. Vietnamese Crepe: Gieng Ba Le Eatery (Phan Chu Trinh Alley); Bale Well (Madam Le) – 45/51 Tran Hung Dao. Hoi An lantern is made quite nice, lightweight and can be collapsible so it is suitable for tourists to buy as a souvenir. Sewing clothes in Hoi An is cheap and pretty fast back again. In just a few hours, the mechanic will sew the finished clothes for you. If you can not wait, you just leave the measurements and address then the shop will send the product to you. Garment shops: Thu Thuy (60 Le Loi), Yaly (358 Nguyen Duy Hieu), A Dong silk (40 Le Loi), Bao Khanh (101 Tran Hung Dao). Hoi An shoes are also quite rich and beautiful. Many shops have handmade shoes similar to clothing stores. Hoi An chili sauce is special, spicy but aromatic. Hoi An is very interesting early in the morning, the street is quiet, the people of Hoi An prepare to start the day, no lights, no sellers. You can try to walk in Hoi An at night in the quiet alleyways of the old town. This is the special experience among things to do in Hoi An that you should try. Every night, there is a boat passing around the river that performs ethnic music. Restaurants, shops are always ready to serve you heartily. Therefore, you do not have to listen to the intermediary or follow them to the shop.